The study of biodiversity is essential for the understanding of the complex phenomena upon which biological sciences are based. This book aims to be an updated and advanced source of the theoretical and practical aspects related to biological diversity suitable for graduated and Ph.D. students. 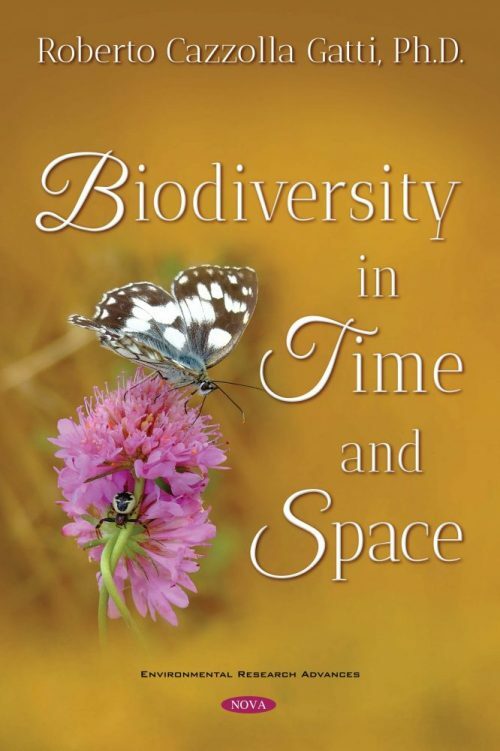 This text seeks to open the doors to the study of biodiversity and its interconnections with ecology, evolution, economy and anthropogenic impacts starting from students to university teachers and researchers. The approach adopted embraces a comprehensive vision of biodiversity and introduces theoretical and practical information that can help to conduct rigorous studies, without omitting the space-temporal component in the analysis of a subject that merges ecological and evolutionary sciences. The novelty of the ideas presented in this book is underlined by the McArthur Fellowship winner and renowned complex systems biologist, Stuart A. Kauffman, who gifted the foreword of this publication by his scientific story. During the academic semesters of Biology, Natural Sciences, Forestry and Environmental Sciences, the discussions related to the evolutionary patterns and the analysis of biodiversity is based upon complex arguments with a few and often quite old reference textbooks. This book provides the most updated review of the literature concerning both the theoretical and practical study of biodiversity and offers new ideas for a better understanding of the proposed concepts. The degree’s theses and scientific papers on this subject are increasing, but literature research is often conducted referring to outdated texts whose explanations of sometimes complex topics – such as the evolution of ecological niches, the speciation and extinction patterns, the calculation of diversity indices, the estimation of accumulation and rarefaction curves, etc. – are even more complicated. This book provides different empirical approaches to the study of biodiversity and applied examples to better link and understand the theoretical background. Moreover, it is accompanied by graphical schematizations, figures and insights that can easily simplify most of the difficult issues related to this developing science. This book, along with presenting an updated overview of the most useful and rigorous indices, measures, plots and graphical representations to monitor, analyse, and calculate biodiversity, provides an extended theoretical background. The parallel theoretical and practical approach of this proposed book can be useful at any user level: for graduate students to better understand complex concepts with concrete examples and graphics; for teachers to supply their students with updated and concrete notions that can be linked to a more theoretical basis; for researchers to use the data and information gathered by the application of the methods described in the book and to analyse and discuss the results obtained on the basis of the hypotheses furnished in the wide literature review, with the final aim of writing scientific reports about biodiversity research.